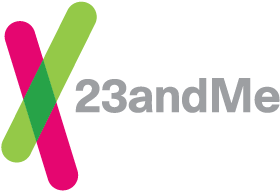 23andMe enables our customers to contribute to scientific research aimed at making and supporting meaningful scientific discoveries. Research topics range from discovering genetic factors behind diseases and traits to learning about human migration and population history through genetics. When you register your 23andMe kit, you have several options when it comes to whether and how you want to participate in Research. You may review or update your research consent choices at any time from within your 23andMe account. Choosing not to give consent or withdrawing from 23andMe Research will not affect your access to your genetic information or to the Personal Genetic Service. If you choose to opt out of 23andMe Research, any of your data that have already been entered into a study cannot be withdrawn, but your data will not be included in studies that start more than 30 days after you withdraw. By choosing to give consent to the Research Consent Document, you agree to let 23andMe researchers analyze your de-identified Genetic & Self-Reported Information for scientific research, as detailed in our Consent Document. When your Genetic Information and/or Self-Reported Information is being used for research purposes, it will not be linked to your Registration Information. Additionally, we may share some data with external research partners and in scientific publications. These data will be summarized across enough customers to minimize the chance that your personal information will be exposed. Customers also have the option to authorize 23andMe to share their de-identified, individual-level data with qualified research collaborators by consenting to our Individual Data Sharing Consent Document. This is an additional consent that is offered if you have already chosen to participate in 23andMe Research. 23andMe will never release your individual-level data to any third party without asking for and receiving your explicit authorization to do so. For more details about this type of research consent and privacy, please review the Individual Data Sharing Consent Document. If you agree to learn about research opportunities based on your unreported genetics, it means that we may contact you in the future about research opportunities based on genetic information that is not included in your 23andMe reports. This is different than our other research consents (the Research Consent Document and the Individual Data Sharing Consent Document) because you are not agreeing to participate in a specific research study. Rather, you are agreeing to be contacted about research opportunities in the future. If you agree, you may receive invitations for research opportunities based on genetic information that is not included in your 23andMe reports. These invitations will not disclose specific genetic variants you carry but may mention a condition being studied. Every research opportunity is different. For instance, if you agree to participate in a particular study, you may or may not learn new information about your genetics, including whether or not you carry the variant(s) being studied. We will always share the details of a study, including whether or not you will be offered new genetic health information, before you agree to participate. You can always decline to participate. For more details about this type of research participation and privacy, please review the Research Opportunities Based on Your Unreported Genetics help article.